What does Martin Scorsese, Steven Spielberg and Quentin Tarantino have in common? A massive fan craze by directing great movies that leave an indelible experience. How can your business achieve the same level of zealous customers and dodge the competition? Simple. 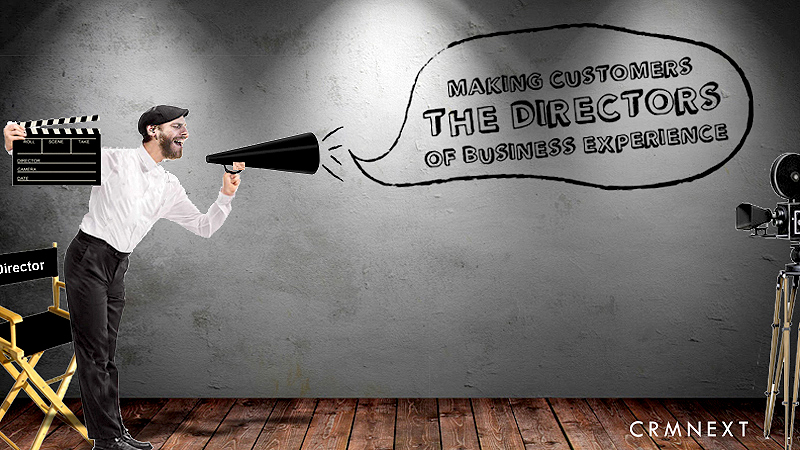 Make customers the directors of your business experience. Explore how. Customers care more about an experience than products. You need to set the stage with this fact in mind. It should be easy for the customers to perform high-frequency interactions and transactions. The stage can be divided into three sections. Allow the customers a hassle free browsing experience. Offer all the information that they need to make a purchasing decision. The channels can include the web, phone, store, advertising etc. Highlight the experience of 'using' your product or service. The ease of use defines the emotional aspects of customer behavior. Servicing, though not the end all, is the most important set. The ease, accuracy and speed of service will make or break customer loyalty or goodwill. Spend some time in identifying the most important experience of a customer. You can start by sending surveys through CRM software. Try multiple variations of questions to test out different scenarios and how customers would react to them. Based on the feedback captured and the detailed reports thus generated, define the experience set details. By identifying what a customer wants, you can design workflow in visual designers with a humanist mindset. For example, borrowers often care about the loan approval time rather than the specifics of a financial product. Integrating with credit rating agencies and automating workflows in your CRM solutions will cut short the approval time to 3 minutes. Sidenote: A leading auto finance company did exactly that. Learn how. Motivate teams to self-organize across functions to improve customer experience. These groups will be in charge of formulating customer-centric processes defined by policies, standardize communication and engagement practices. Executives who are in sync with ground customer realities are in a better position to contribute to continuous improvements and innovations in your product or service. Define metrics that are relevant for customer experience. Some examples include First Time Resolutions (FTRs), Net Promoter Score (NPS). These metrics derived from insight reports generated through CRM platform will help you track business performance and proactively identify problems before they become a nuisance. These help to mitigate deviations and its consequences. Customer experience in your product or service transcends departments and functions. Sometimes, in such scenarios, accountability gets lost in translations. Ensuring your teams follow strict accountability will help you simplify decision making, reduce costs and as a result, improve experience. Accountability does not mean writing tons of words and deploying draconian measures. It involves creating a mechanism that ensures timely feedback and information transparency across multiple levels. Remember, accountable teams are self-directing, self-correcting and self-motivating. Empowering customers is rewarding. Allow them to take the driver's seat in setting journeys backed by CRM technology. By doing so, your business can count on customer loyalty and brand advocacy for the next blockbuster product or service.